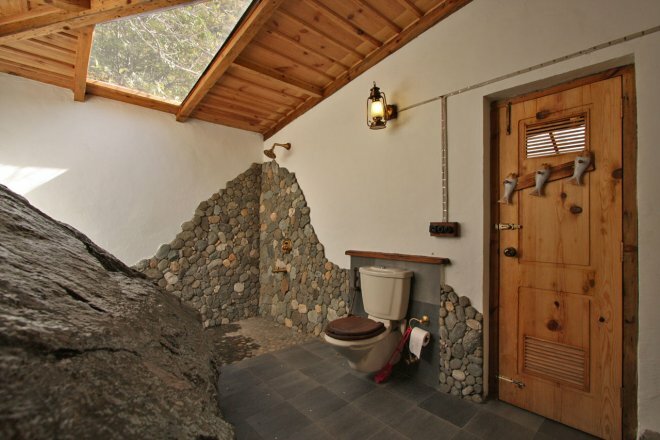 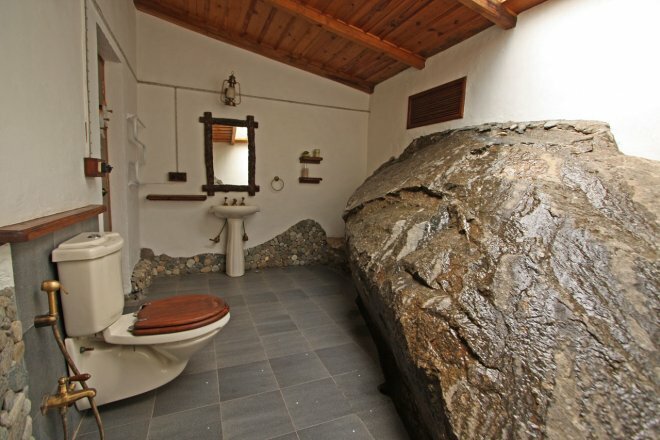 Sahaj overlooks the lush green farm and the citrus trees, and its ‘pièces de résistance’ is the natural rock formation within its bathroom. 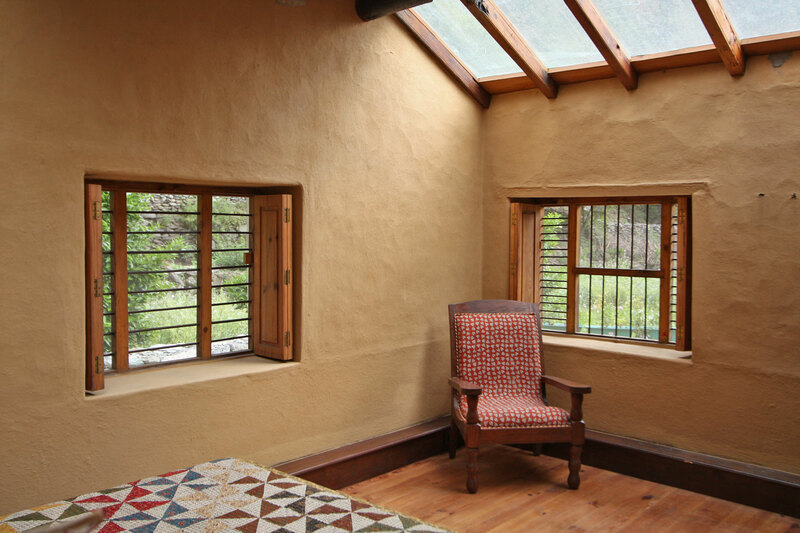 It is situated within the 1930’s village home that has been restored using traditional methods and with the addition of all modern comforts without compromising the authenticity. 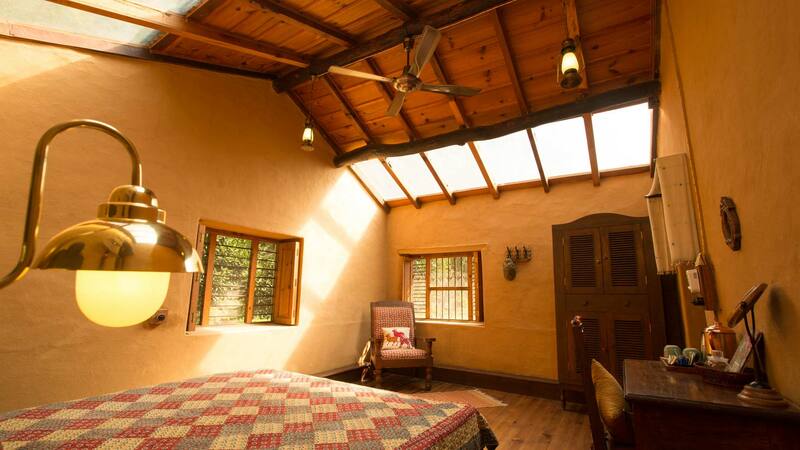 It radiates a vibrant earthy appeal and has been decorated in true rustic style with mud plastered walls, old click switches, lantern lights and vintage-style furniture. 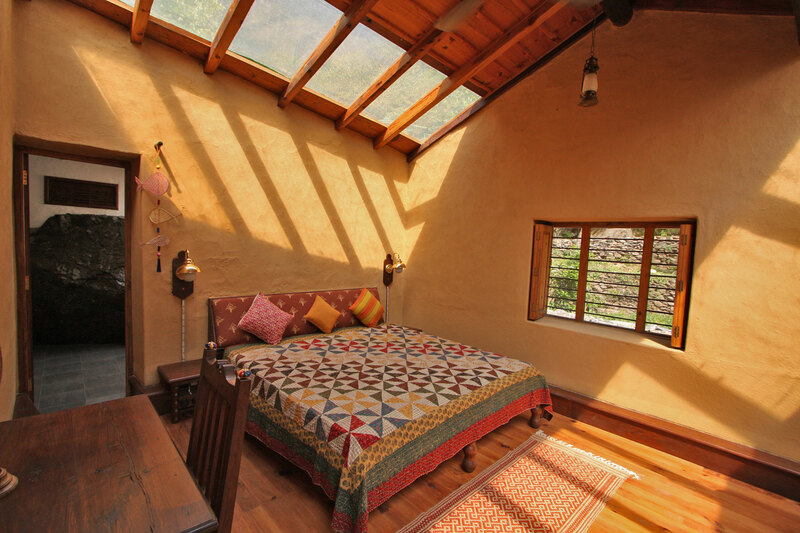 The 360-degree view of the imposing hills all around, also seen through its skylights, is sure to fill you with a sense of awe! Sahaj is a part of the 3 bedroom home with its own living room (with a TV). It is suitable for families who require up to 3 connected rooms on the same floor, and for those looking to stay in an authentic village home.